While the dieselization of Pakistan Railway Network is complete, there remains three little bastions of old-fashioned steam railway still in operation. One is the on-demand Khyber Pass Railway (a portion of which got swept away in 2007 flash floods), second is the on-demand Meter Gauge Network of Sindh province and the third is a small 25 km forest railway network at Changa Manga. Photo above is a timeless narrow gauge scene on the Changa Manga Line. The crew of the 1927 built Andrew Barclay Locomotive takes an empty rake deep into the forest. This photo is courtesy of Peter Lemmey. The town of Changa Manga is named after two bandits called Changa and Manga, who were active in this area in the eighteenth century. Today, Changa Manga is famous for the largest man-made forest of Pakistan located here. 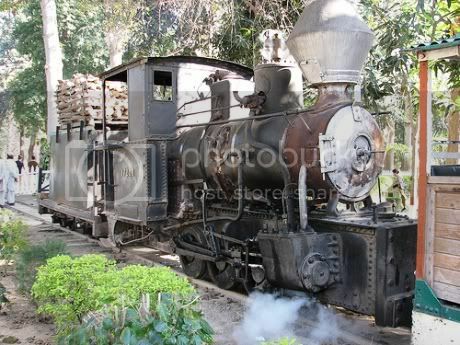 The forest was planned around 1865 as a wood repository to provide cheap fire wood for Steam locomotives running between Karachi, Lahore and Amritsar in the late 19th century. The photo above is a John Fowler Locomotive getting ready to pull a timber load in Changa Manga in the winters of 1996. Photo is courtesy of Dr. Roland Ziegler. Changa Manga plantation was started in 1866. The first working plan for the plantation was drawn up by Mr. B. Ribbentrop in 1871-72. The mature forest started harvesting by 1881-82. In 1888, Sheesham Wood (called Tahli in Punjabi) and with the botanical name “Dalbergia sissoo” was planted at large area of the forest. The early steam locomotives used to be wood-burners. An incident that hastened the conversion of engines from wood-burning type to coal-fired type occured when burning wood from an engine also set fire to a van and a buggy. The Railways had to pay Rs 3000 in compensation and engines were soon fitted with huge American-style spark arresting chimneys (See photo to the left above). After coal fields became accessible in East of India, the locomotives also changed to become coal-fired instead of wood-burning. The demand of wood from Changa Manga forest however, remained steady as it started supplying to timber market of India. By early 1900s, almost 200ha (500 acres) of forest was being harvested annually at Changa Manga. As of 2007, Changa Manga forest is now spread over approximately 4860ha (12000 acres). Changa Manga Railway consists of 600mm (2ft) wide Narrow Gauge track. Photo to the right is Changa Manga shed with all three engines of the crew in a part view. This Photo is courtesy of Peter Lemmey. The railway is now used only when needed to transport timber or used to haul tourist trains on special occasions like Eid festival etc. The only time I have visited Changa Manga was in 1976. Somehow I still have a clear memory of the steam train. Our extended family had occupied most of the train. I was sitting in one of the coaches with wooden arm chairs. The train speed was so slow that most of my teenage cousins of that time decided to walk next to the moving train. They were constantly getting in and out of the moving train and that image has remained fixed in my memory. The photo to the left is the brass plate on the Andrew Barclay engine at Changa Manga. This plate bears the name of Parry, the famous machinery importers founded in the 18th century and located in Calcutta. They imported this engine from Andrew Barclay which finally ended up at Changa Manga. This photo is courtesy of Peter Lemmey. There are four locomotives which were ever part of this railway. I believe three of them are still operational. (Confirmation needed from our readers). Two of the surviving locos are 0-6-0s (wheel scheme) and one is a 0-4-0. One of the 0-6-0s was built by the firm John Fowler & Co, of Leeds, Yorkshire in 1927 (shown below). Its serial number is 17208. The other 0-6-0 was built by the same firm in 1936. Its serial number is 20496. The John Fowler engine built in 1927 and serial number 17208 is seen here bringing in a train destined for Changa Manga saw mill. This photo is courtesy of Peter Lemmey. The third engine which is 0-4-0 was built by Andrew Barclay Sons & Co. Ltd of Kilmanrock, Scotland in 1927. Its serial number is 1763 (see photo below). The 1927 built Andrew Barclay built locomotive with serial number 1763 is seen crossing an irrigation canal in Changa Manga Forest. This photo is courtesy of Peter Lemmey. These engines which were built for immediate hardwork are still running today, which is a tribute in itself to their builders and to local repairs. There are records of a fourth engine which was used here. It was a 0-4-0 built by Andrew Barclay Sons & Co. Ltd of Kilmanrock, Scotland in 1927. Its serial number was 1125. Left over pieces of this engine are now placed as a monument in the park. See photo to the right. This photo is courtesy of Tauseef. The main road from Lahore to Changa Manga forest crosses the Railway between the yard and the station. There is a small platform for the passengers. Home made coaches are used to bring tourists deep into the forest. These coaches have armchairs inside and atleast one coach has an airconditioning unit. The route for these tourists trains is from the main yard to Mehtabi lake and it takes about half an hour journey to reach the lake. Members of the Forest Officer’s staff issue paper tickets for this ride. As the train moves on its main route towards the lake, many branch lines peel off in different directions to serve other parts of the forest. The total length of Changa Manga Forest Railway network is around 25 km (16 mi). Mehtabi Lake is a man made circular lake with a bouncy suspension bridge across to the central island. Around the lake there are children rides, gift stalls and lots of loud pop music. From my 1976 trip to the park, I have a strong memory image of walking over the suspension bridge on Mehtabi Lake and it was a scary experience because the bridge swayed with walking people and it was difficult to keep balance on it without holding on to the ropes. One engine is always kept ready, whether there is a logging going or not, all through the week. The photo above is courtesy of Dr. Roland Zeigler. Therefore it is possible to rent a whole train and do a day-long forest trip covering all 25 km of permanent track. It doesn’t take long for the staff to put together a train and with your own train, you can explore further into the forest and make your own stops to take photographs. One can see lots of wild life in the park. There is a variety of deer found here as well as the forest is also famous for a well setlled population of vultures. In 2000-01, the number of vulture nests in Changa Manga area was 758. 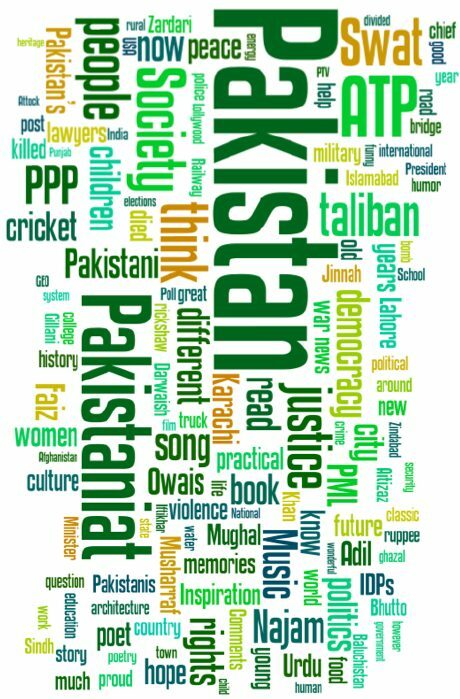 The welcome from the staff, even to strangers arriving from another continent unannounced, is as warm as you come to expect in this most friendly of countries: “Pakistan peoples are A1 for friendly”, as one railwayman quaintly but accurately puts it. It’s that misty time just before dawn breaks. Somewhere nearby a rooster is awake. Across the Forest Officer’s compound, individual trees and small buildings emerge from the shadows of a Punjab night. Shrouded figures move between three small steam engines, tending the fires as steam-raising gets under way. Plumes of pale smoke rise in the cool morning air. 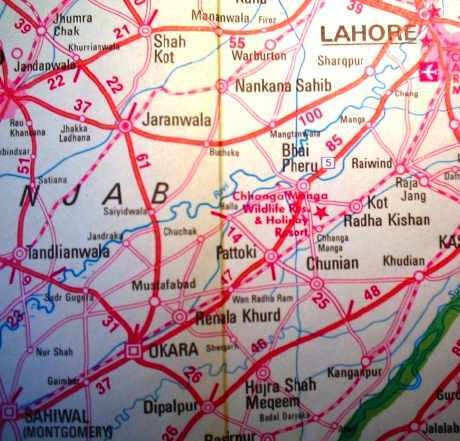 By rail Changa Manga is located 72 km South of Lahore. It is accessible both by Main Karachi-Peshawar Railway Line as well as the Karachi-Peshawar Highway N5. Highway N5 does not directly connects to Changa Manga. It crosses the narrow gauge track between Changa Manga and Mehtabi Lake. Few kilometers before this crossing, it passes through the town of Bhai Pheru from where a smaller road goes to Changa Manga town and further on to the industrial zone of Chunian. If one wants to travel to Changa Manga by train then there are atleast 2 Up and 2 Down trains daily from Lahore which make a stop at Changa Manga station. The train timings for Changa Manga can be seen here. Following is a photo of 1927 Fowler built loco # 17208. The photo is taken on December 23, 2007 and is courtesy of Faisal Saeed. 6. Dr. Roland Zieglerâ€™s page on Pakistan tour of 1996. 7. Working Plan for the Changa Manga Plantation, 1917. Government of Punjab. If you want to learn more about Pakistan Railways, then feel free to join the â€˜Pakistan Railway (PR)â€™ discussion group. Everything and anything related to PR is discussed here e.g. preserving of Pakistanâ€™s rail heritage, steam locomotives, sharing of photos and news, time tables etc. You can join the discussion group here. Riaz Saheb. thanks for your comments. What else do you remember from your Changa Manga trips of late 70s. Do you remember the steam train then?